The Adrianne Johnson Trophy was donated to the club by Adrianne Johnson, who was lady captain in 1996. Adrianne was successful in forming a junior girls’ section at Canterbury and at one time there were 10 young players working to gain their first handicap certificate. In March 1981, a farewell four-ball betterball Stableford competition was organised by Cynthia Sheppard, who was moving with her husband to the Algarve. Lunch was provided for the occasion by Cynthia, who then presented the two winners with matching silver-plated vases. These were named the Algarve Vases and have remained part of the ladies’ summer programme of events since that time. This prize has been played for throughout the history of the club and is awarded on Lady Captain’s Day. Whereas most of the competitions within the club are associated with a trophy, at this event, the winner’s prize is provided by the incumbent lady captain. 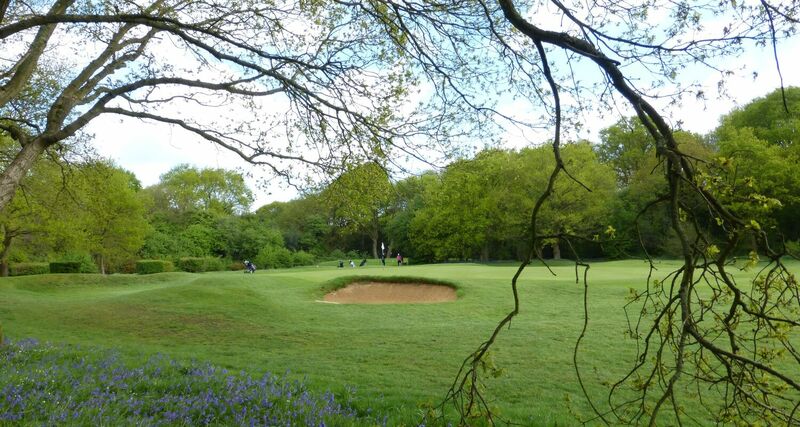 In 2014, Julia Barton donated two Greensome salvers from Herne Bay Golf Club after its closure and since then, one of the two salvers has been awarded as the lady captain’s prize on Lady Captain’s Day. Presented by Mrs Rosemary Cardy in the 1980s for players without handicaps or with handicaps of 36. The Castles Cup was donated by Chris Castles in 2008. Chris’s husband Ron, as MD of his company, had agreed to travel to England for three years, arriving in January 2001. They settled so well to life in Kent that they did not return to Australia until November 2008. Living in the village of Wickhambreaux, they enjoyed travelling in Europe and the UK. Chris was a very popular member of the Ladies’ Section and played in the Pearson Trophy. When they reluctantly returned home, both their sons were married and they now have five grandchildren. To quote Chris: "Australia is home, but the UK was the best part of my life!" Presented by Elspeth Cayley, joint captain with Margaret Nye in 1975. Elspeth was a great stalwart of the club for over 45 years and played in the Silver Division for most of her golfing life. She presented the up in 1981 to celebrate 25 happy years as a member. 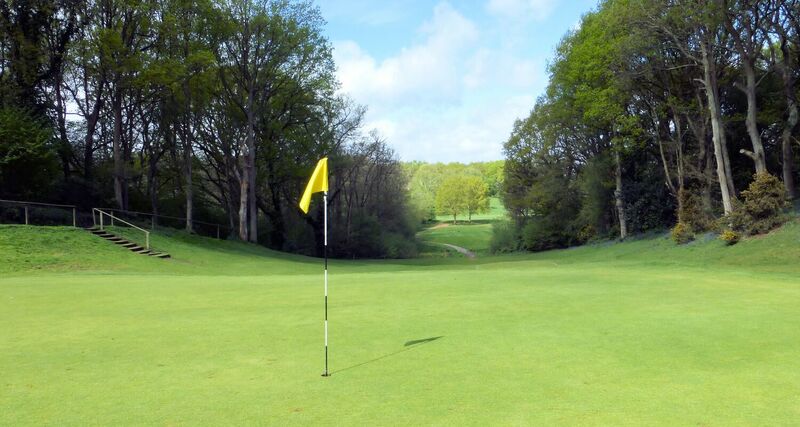 An 18-hole medal, open to all winners of monthly medal or Stableford competitions played during the current year. At the end of the first year at Scotland Hills, the ladies’ membership stood at 23 and there was enough money in the funds to purchase this hallmarked cup (1927). It has a wooden plinth and shields. Little would they have imagined that years later, the Rev Pamela Lloyd, that year’s winner, used the cup for a baptism in HM Prison, Canterbury, when no font was available. After 45 years' membership, Connie presented the Ladies’ Section with a beautiful rose bowl and she then went on to play golf for a further five years. She acted as lady captain in 1957 and again in 1975 and was ladies’ secretary for seven years. Connie came to Canterbury to teach at the Simon Langton Girls’ Grammar School in the late 1930s and joined the club. Her new golf clubs, which she thought would last her many years, were lost just a few days later in the fire which destroyed the old thatched-roofed clubhouse in 1938. This singles knockout competition had been organised for some years but there had not been a trophy available for the winner until 1997 when Jack Hobbs donated the cup in memory of his wife, Daphne, who had been a very popular lady member. At the ladies’ agm in 1950, the committee decided to award the Sillars’ Bowl to the winner of the scratch prize in the Ladies’ Open Tournament and as a result, Mrs Eileen Fisher presented a new cup for the Bronze Division winner at the Open. Eileen was lady captain in 1949 and again in 1952. Ethel Brook was lady captain in 1950, and in 1969 presented this cup to the Ladies’ Section. She was the wife of PTS Brook, president of the club for a number of years. This trophy was presented in 1960 for a foursomes knockout competition to be played annually and it continues to be a highly-contested and popular competition each summer. The donor, Peggy Hallet, was lady captain in 1962. This is a very beautiful, hallmarked Cup (1928) which came to the Ladies’ Section from the original club at Ickham. Ida Cook was lady captain in 1954 and again in 1956. She presented the Ladies’ Section with two silver-plated statuettes and these continue to be played for each summer. 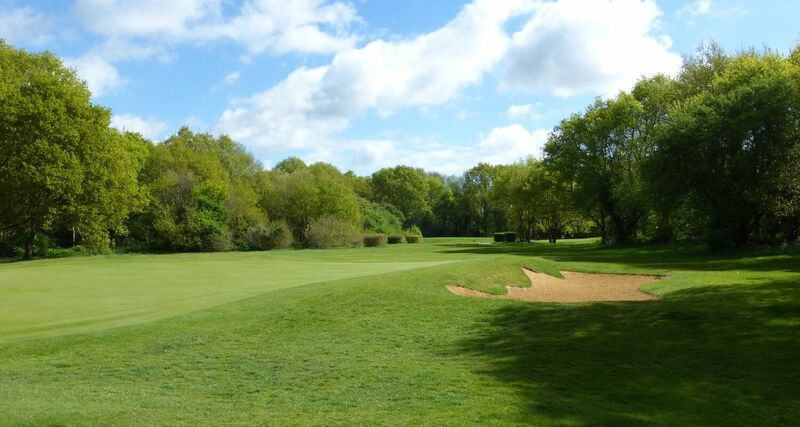 Each lady’s male partner must be a member of the Canterbury Golf Club Men’s Section. When King George V celebrated his Silver Jubilee in 1935, Mr Carol Powers, headmaster of the St Edmund's Junior School, donated this trophy. Originally the trophy was contested on two afternoons in the autumn but various committees have changed the format over the years. The winner is now deemed to be the club handicap champion. 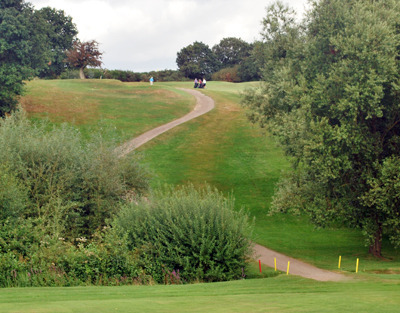 18-hole singles Stableford – to played on a Sunday afternoon or evening. Margaret Vernon was Lady Captain in 1970 and she presented this Trophy, possibly for the benefit of week-end lady golfers. Awarded to the most consistent players in the Silver and Bronze Divisions in the year’s medal and Stableford competitions. With the death of Mary Edmondson in November 1999, the Ladies’ Section lost a most supportive and generous benefactor. As lady captain in 1971, she gifted a trust fund which has provided the wine served at the Ladies’ Annual Dinner and Prizegiving since that time. In her will, she bequeathed further monies and the members of her frust Fund purchased two silver salvers to be awarded to the most consistent golfers in the Silver and Bronze Divisions each year. They are known as the Mary Edmondson Consistency Salvers. Presented to the winner of the aggregate best scratch medal scores at the spring and autumn meetings. This trophy was presented by Mary Edmondson to the Ladies’ Section of Herne Bay Golf Club many years ago. On the unfortunate closure of the Herne Bay club in 2012, Julia Barton organised its transfer to the Ladies’ Section at Canterbury. The original salver came to Canterbury when the Herne Bay Golf Club closed in 2012 and its transition was organised by Julia Barton. We can be sure that this trophy and the scratch salver, both presented by Mary Edmondson, will be keenly contested by the club’s lower handicap ladies. 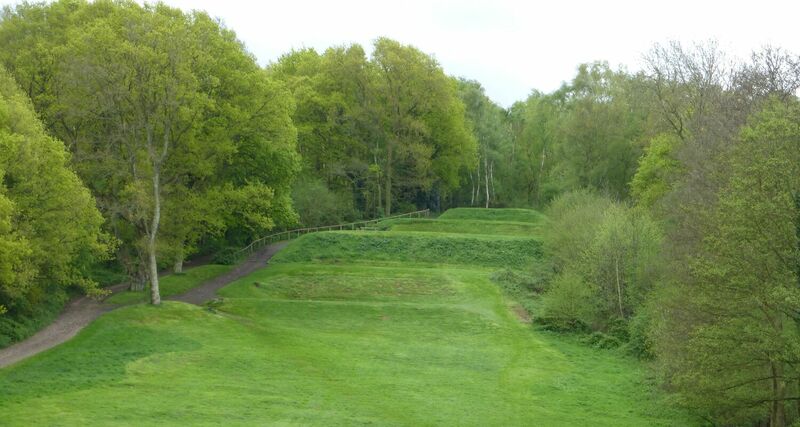 Before the club was formed in 1927, there had been several years of negotiation with the War Office regarding the lease of the land known as Old Park. Three Army senior officers based at Canterbury were eventually able to secure a lease, initially for 28 years. One of these officers was Colonel McCormick, the husband of Ida. She played in competitions and matches as early as 1938 but with the destruction of the clubhouse by fire in 1938 and the subsequent loss of the lady captains’ noticeboard, it is not known whether she was ever lady captain. Sylvia Kerman was lady captain from January 1989 to March 1990 and she presented a silver griffin bowl to be played for by the past lady captains of the club. The competition is followed by a luncheon, organised by the immediate past captain in turn. Mr Reginald Pollard was the proprietor of a well-known Canterbury jewellery firm. He was an army officer in the First World War and was taken prisoner while serving in France. In the Second World War, his premises were destroyed by enemy action in 1942. Mr Pollard donated this trophy, a hallmarked cup with plinth and shields dated 1935, in 1938. This beautiful bowl is hallmarked 1920 and was donated by the Sillars family, who owned the land on which the old Ickham Golf Club was formed. 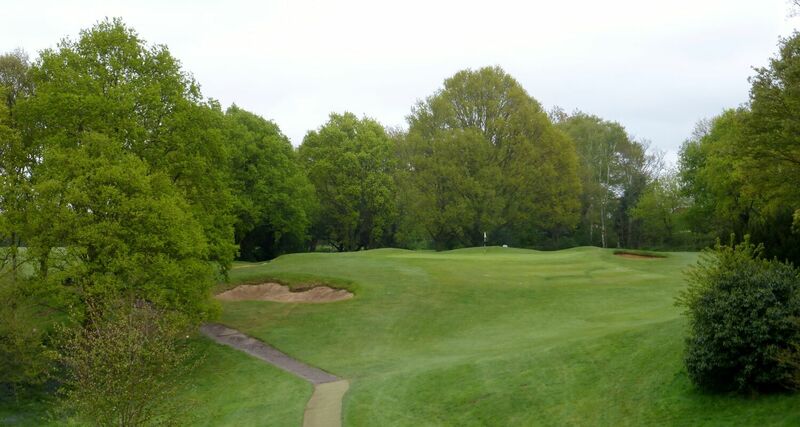 It was transferred to this club in 1928 when most of its members joined the new Canterbury Golf Club. In 2010, the committee agreed that the trophy should be awarded to the lady with the best gross score over the two rounds of the Jubilee Cup competition. The winner is deemed the club hampion. The spring and autumn meetings had been part of the club’s calendar for many years, but when a summer meeting was included in 1991, Ann White presented the ladies with a trophy to be named the Summer Rose Bowl. Ann was lady captain in 1985. Miss Tchitcherine was a member of a small group of white Russians who had escaped the revolution in 1917 and settled in Canterbury. She enjoyed playing Bridge at the club with the president, Mr PTS Brook and his wife, Ethel. The salver has a diameter of 10 inches and is hallmarked silver. During her first spell as lady captain in 1967, Mary Starbuck donated a trophy for players with handicaps of 30 and over and this has been a very popular competition for beginners ever since. Mary became lady captain again in 1992 after she retired from her work as an ophthalmic surgeon. Three ladies from Herne Bay, Julia Barton, Cicely Hellyer and Olive Marshall, presented a silver salver during the 1970s to be awarded to the player with the lowest medal score over two rounds. Olive was lady captain in 1973 and Julia continues to be a member of this club and the main organiser of its thriving Bridge Section. Kay Hutchinson was a very popular ladies’ secretary for 22 years and on her retirement from the committee she presented this trophy to the Ladies’ Section. Originally, ladies entering the competition had to be aged 50 or over but, since then, this age has been increased and is now 65. This could be rather embarrassing for those ladies who were winners at the age of 50, when, in later years, they were assumed to be aged 65 during the year they won the trophy. Two past captains, Gwen Allen and Moira Holt, donated the Winter Cups in 1990. As there was not much excitement in the club calendar in the winter months, the ladies thought it would be enjoyable to play for a trophy towards the end of January and they added to the fun by asking some gentlemen golfers to serve warming drinks as each pair arrived at the 10th tee. This was, and still is, a very popular competition.